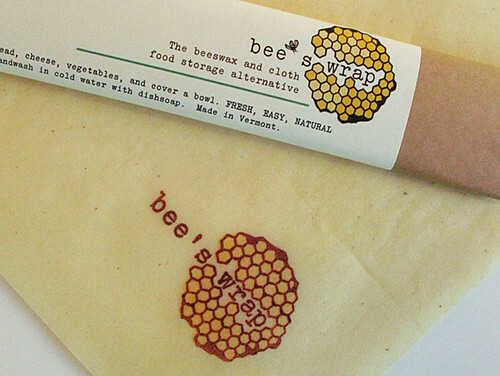 The buzzzz is all around...there's a new kind of food storage in town. It's from Bee's Wrap, a company created by Sarah Kaeck in 2012. And indeed, these new eco food wraps are made from organic cotton infused with beeswax, jojoba oil, and tree resin. It could be a game changer for plastic wrap as it can be washed, reused, and composted--3 things plastic wrap cannot be! If that's not "the bee's knees," I'm not sure what is! These two videos give you an even closer look to the magic of Bee's Wrap. For a more indepth story about how Bee's Wrap started, check out Sarah's video from her "About Us" page... then check out her website and consider doing some shopping! Bee's Wrap® - Our Story from Sarah on Vimeo.